It’s competition time at Fiddler’s Lancashire Crisps. 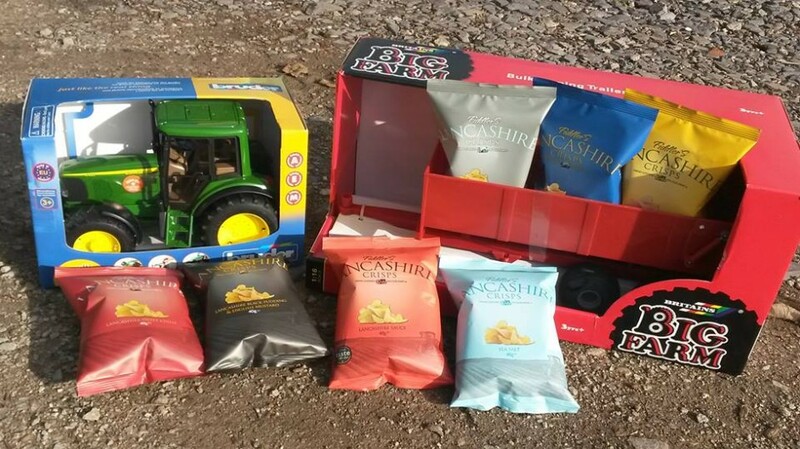 Enter to be in with a chance of winning one-month’s supply of Lancashire Crisps and a toy tractor. The perfect way to add some crunch to your Christmas celebrations! These deliciously moreish, handcrafted crisps are all made from potatoes grown on our farm and feature local flavour combinations.